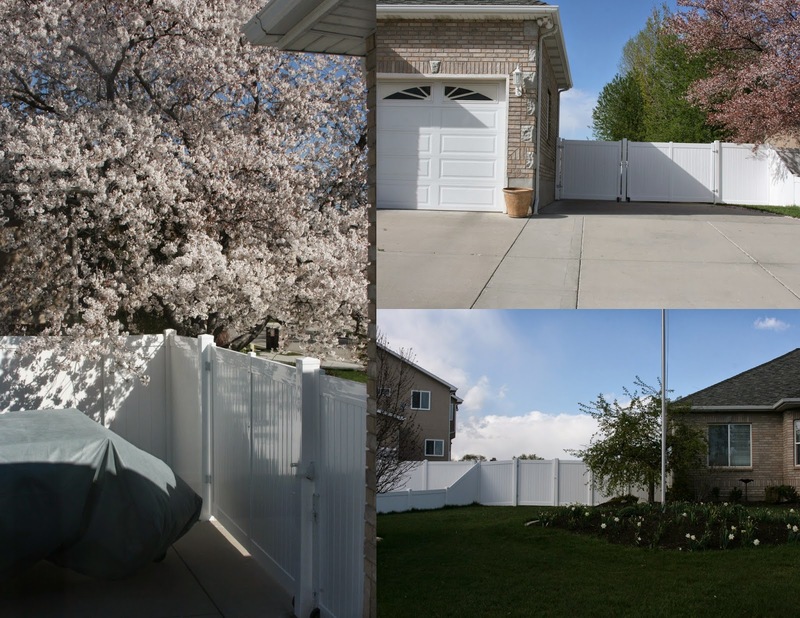 Ever since we moved into our home we knew we were going to have to get a fence to completely enclose it. Although we live on a dead-end street with relatively little traffic, I've always been paranoid about the kids not being able to stop their bikes on the drive way and get run over by a car. There are also many wonderful kids in our neighborhood who stop by and visit. I don't like my kids just taking off from the back into the front yard without permission. I'd rather their friends knock on my front door and tell me what they plan to do, where and with who. Lastly, but just as important is my dog Arthur who, for the last two years. has had to wear a leash every time he went out back to relieve himself. The poor dog kept walking around bushes and the columns in our back patio and getting stuck. We would have to go outside and retrace his steps, pulling him by the leash so that it became untangled. It was a pain, especially in the winter. I love our new fences. The day after the fence was installed we let Arthur out without a leash. He would only venture as far as he had in the past when he had worn a leash. We try to coax him to come to us but nothing worked. He wouldn't move past the imaginary line his old leash had limited him to. Luckily, after a day or two he began roaming the whole yard. We also had a crew come in and work on our flower beds. They ripped out a lot of dead/ weed & grass overgrown areas and filled it all with mulch. They worked hard but did not do as good a job as I would have liked. We had them remove two trees that covered the front columns in our entry way. The rose section on the right of the entrance grew into the tree and there was no way for us to get into that area to turn on/off the soaker hose that waters that section without getting scratched by thorns. 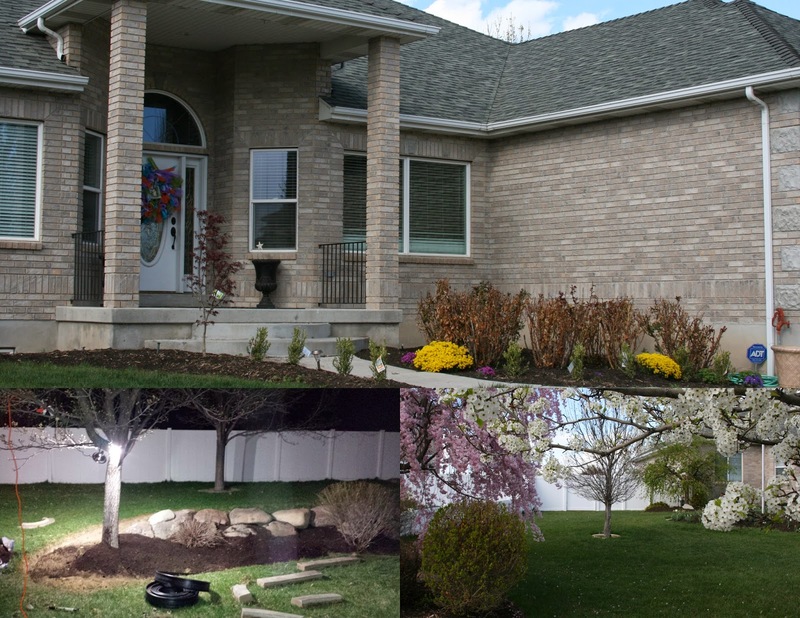 We replace them with boxwood bushes and a Japanese Maple tree. I just love them!